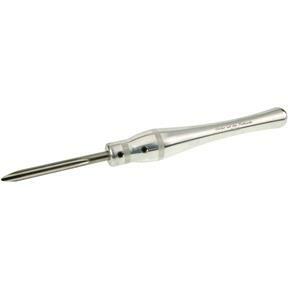 Each of Carter and Son's woodturning tools is equipped with a state-of-the-art, solid aircraft grade aluminum handle. Offering strength, comfort and stability, the handles are also secured 3" into the handles, rather than the conventional 2", dramatically reducing chatter. Each tool is made completely in their Seattle, WA factory, machined from solid stock, hand inspected, and hand sharpened. 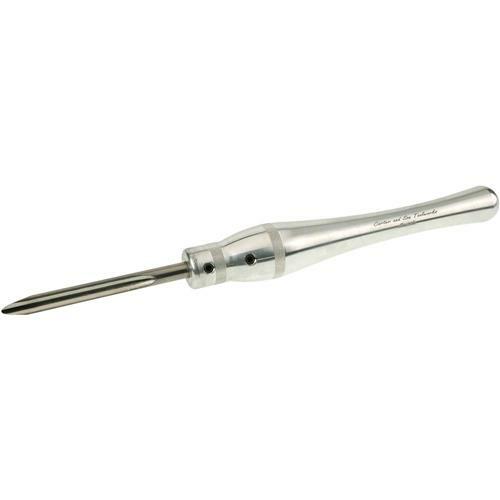 Complete with a razor edge and solid 12" aircraft-grade aluminum handle, our 1/2" Spindle Gouge is sharp and sturdy. M42 HSS ensures that this feisty tool will cut for hours with an incredibly sharp edge. Precision machined, hand-polished, and pre-sharpened. 1/2" tang.